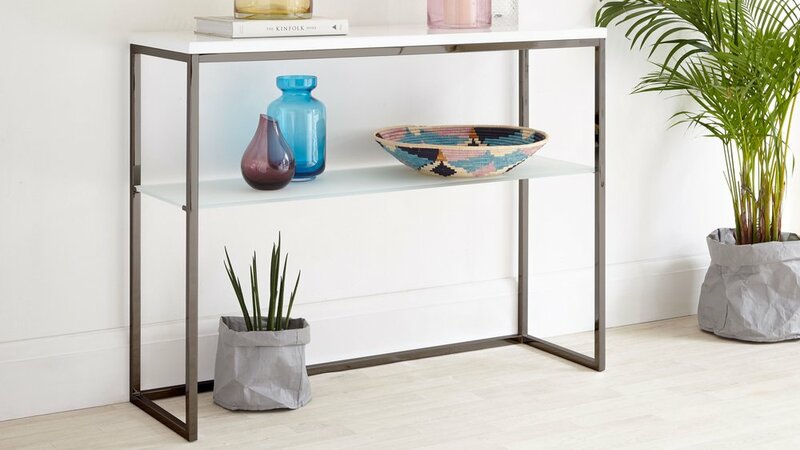 This modern Acute White Gloss and Black Chrome Console Table would look great styled in a hallway, tucked behind a sofa to zone different living areas, or even as a just as a hero piece to display your favourite items. 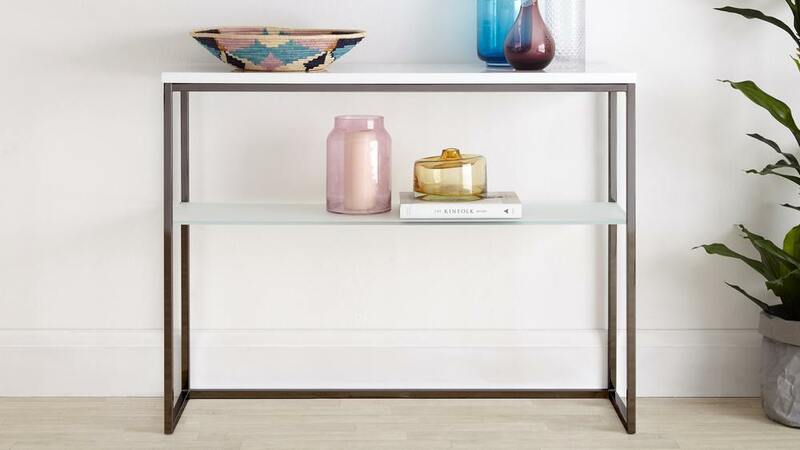 With a slim frame, tactile frosted glass shelf and a beautiful blend of finishes, the Acute Console Table is a simple, elegant and inexpensive update for any interior. 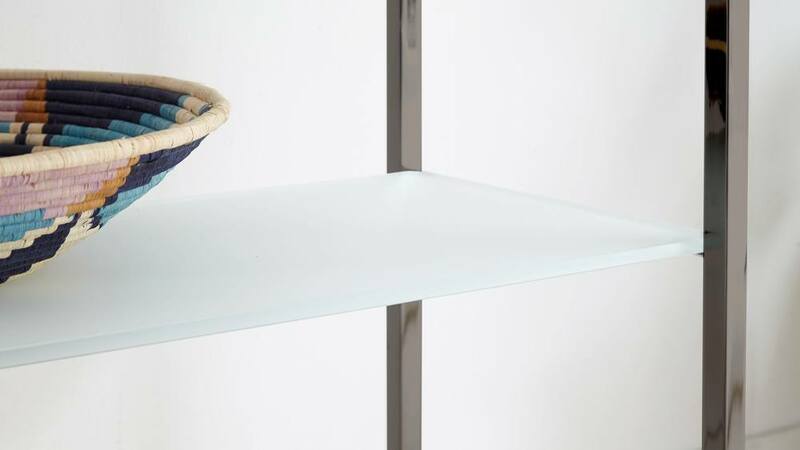 Exclusive to Danetti, our designers have blended together a white gloss top, grey frosted glass shelf and black chrome to create a sleek and stylish designer look. 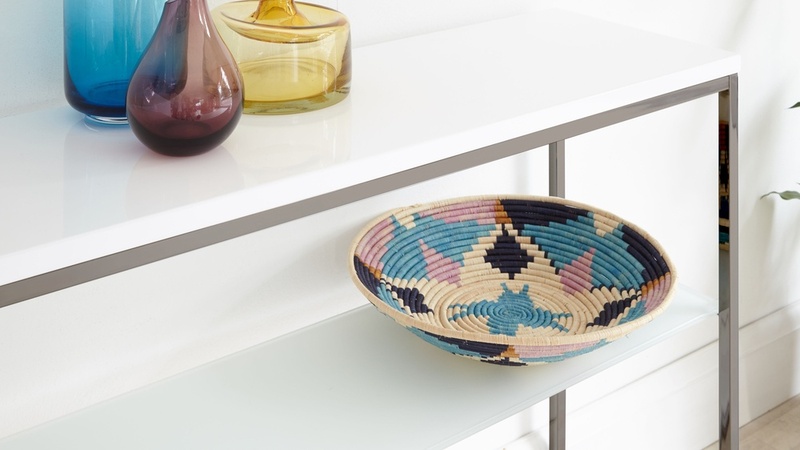 To make this console as versatile as possible we've worked on the sizing to get it just right. 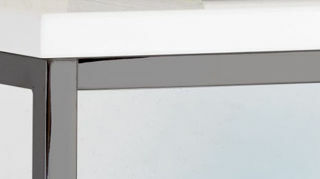 At just over a metre wide but only 350mm deep it's not an obtrusive size, yet large enough to display all your things. 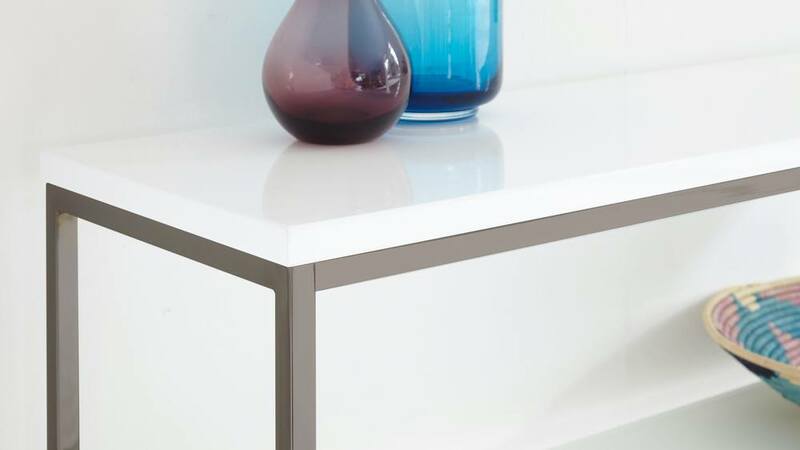 The Acute White Gloss and Black Chrome Console Table is perfect for adding a modern edge to your home. 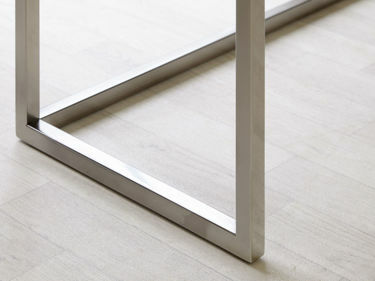 If you're looking for a different finishes check out the Acute Matt Grey and Black or the Grey Gloss and Black Chrome.